Emails have changed the way we communicate. It used to be that most of us would use either phone calls or regular snail mail to convey our message to others. When it came to writing a letter, it required more time, attention and care from us. Now, because of the internet, those things have changed. Being able to easily send messages via emails across the world is very fast, useful and convenient. However, if not done correctly, it can also be problematic and unprofessional. Too many people make the mistake of writing and sending out emails either too abruptly, with grammar errors or with many other issues. These 11 tips for writing emails correctly will show you the mistakes to avoid making. One of the first mishaps people often make when sending out emails is not separating their business from their personal email addresses. Although it may not apply to everyone, it is a very important rule to follow. In a lot of cases, personal emails sometimes contain phrases or words within the name which others may consider inappropriate. In addition, if you are sending an email applying for a job, you do not want to give the wrong impression. 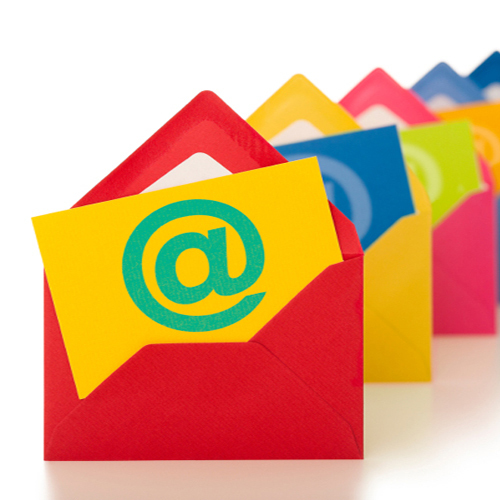 Having a business email address will also make you look more professional. Lastly, when you have two separate ones, it is much easier to divide your personal life from your professional one. Because the vast majority of us receive so many emails daily, receiving long, unclear and confusing emails can be annoying. People who get these kind of emails, may not bother to read them completely or even respond at all. Some may end up forgetting about them or deleting them altogether. Keep your emails short, polite and to the point. Moreover, make sure your message is respectful and polite. Too many people send out really rude emails without considering their recipients. All of us know how annoying spam can be. In a matter of days, our inbox can contain hundreds of emails. The last thing we want to do is get emails from friends or colleagues that are not really necessary. Before sending it out, ask yourself if there is another way to solve the situation. Perhaps a phone call or speaking to them directly may be easier. One of the best things about emails is the option to “Forward” it to others. However, in most cases, it is widely annoying and abused by many people. Forwarding an email will actually contain not just your email address, but dozens of others. That means you will be including them in the conversation as well. Some email programs have filters that send ‘Fwd’ emails to the spam folder automatically. If you do have to fwd an email, be sure you check or uncheck the ‘Reply All” option before hand. No one wants to receive emails with subjects irrelevant to them. Even though most email programs have spell check on them, some people ignore them. Some may not have it and that becomes even worse. Sending out an email with grammar errors can make you look unprofessional. Especially if it’s work related. Your grammar, or lack thereof, can say a lot to others about you. One of the biggest mistakes people make when sending out emails, is doing so when they are angry. The thing about an email is that once you send it out, it is gone for good. That means that what you thought was a good idea to say when you were angry, may not be the same later. Be sure you are calmed and cool headed before replying or sending out an email to someone. Not doing so can end up costing you your job or a friend. This is one of the most important rules of sending out emails. Ironically, it’s also one that many people often ignore. Too many folks send out emails without writing a subject line on it. Because spams are so prevalent, not having one can end up getting your message treated as such. Besides, it is more likely that your email will be looked at and read if it includes a subject line. It will also let the recipient know exactly what to expect or what the message is about. Make sure you use spaces in between paragraphs to avoid having your email look like a giant block of text. By simply hitting the “Enter” or “Return” key twice, it can make your sentences a lot easier to read. In addition, your email will look more professional and less overwhelming. Nothing can be more confusing than receiving an email without proper punctuation. This includes capital letters, periods and other appropriate punctuations. Although some may look at this as very trivial, it can make a world of difference. Even more so when you are sending out a work related or professional email. A vast majority of email programs will automatically fill in the recipients once you type in the first letter of a person’s name. The problem with that is sometimes, you can have several contacts in your address book that begin with the same letter. The worst thing you can do is send an email to the wrong person. This is even more so if you are sending out personal or confidential information. Always make sure that you double check the recipients of your emails before hitting that send button. Email programs allow us to edit and place what we want in our email signatures. A lot of users will end up placing their full name, phone numbers and other info on there. However, you must keep in mind that your email may be forwarded to someone else. Be sure that you check your signature before sending it out to each person. If you have a goofy, playful or unprofessional signature, make sure you check who you are sending it to before doing so.